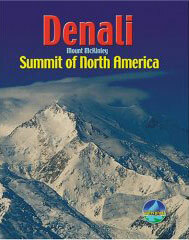 7summits.com's Harry Kikstra's new guidebook about Denali/McKinley, the summit of North America. "This is the ultimate `bible' dedicated to climbing McKinley. What a pleasure to read an up-to-date, comprehensive guidebook for climbing in one of the most beautiful yet inhospitable environments on Earth." At 6194 m (20,320 ft) Denali (Mt McKinley) is the highest mountain in North America. Its arctic latitude makes for extreme weather conditions and its remote location in the Alaskan wilderness means that climbing teams must be self-reliant and experienced. 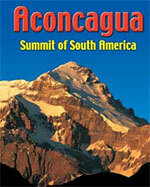 The book focuses on the West Buttress route used by 80-90% of climbers. * in full colour, with over 60 photographs, some of them full page. It is the same size as the Aconcagua pocket guide and fits in most pockets, being only 115grams/4oz and 14.5 x 11.5 x 0.8cm in size (5.7 x 4.5 x 0.3 inch). It can handle the snow you will meet on Denali without weakening the pages. Click on the thumbnails below to view sample pages from the Denali guidebook in standard PDF format. To reduce loading time, image resolution has been limited in these screen samples, but all photographs in our books are printed at the highest technical quality. All text and images are copyrighted © Rucksack Readers and licensors: please respect our intellectual property.